What comes to mind when you hear the words corporate wellbeing? Maybe you think of fruit baskets, ergonomic chairs, and discounted gym memberships. Traditionally, these have been the solutions to promoting health and wellbeing in the workplace and they’re still great options. But in today's environment where a corporate job is no longer a simple nine-to-five and we are constantly connected 24/7 across global markets; we need to challenge our definition of wellbeing and how we improve individual wellness in the workplace. When I think of corporate wellbeing, I think of developing resilience, focus and creativity through mindfulness; managing stress and finding clarity through meditation; and grounding yourself in purpose through gratitude. The practices of mindfulness, meditation and gratitude are not new and have been around for generations. However, the use of these practices in a corporate setting are fairly new and are proving to have a role in our workplace improving productivity, engagement, and collaboration. Integrating these practices into your corporate life doesn't need to be complicated. The first step is to simply tune into yourself and become aware of how you’re responding to a situation. We spend most of our day responding to the demands of others that we don't take the time to check in with ourselves and reset when it’s needed. Understanding what you’re feeling or how you’re responding to a situation helps you identify when you need to step in or step away for a moment to practice a wellbeing timeout. When we find ourselves amidst chaos and our minds are clouded by stress and pressure our natural tendency is to throw ourselves into the situation. We pull out all the stops to make sure we meet that deadline, finish that project or resolve that problem, even if that means, skipping lunch or a gym session and working through the night. Then when we’ve saved the day, we move on to the next deadline, project or problem to do it all again. The constant pressure and stress we put ourselves under reduces our ability to stay focused and productive which eventually impacts our health (hello corporate burnout!) Taking a moment to practice a mindfulness or meditation technique can make all the difference in how you face your challenge, or how you step into the next one, as well as improving your stress levels and overall health. When frustration sets in (think 3pm email with a 5pm deadline), or I can’t move on an idea or piece of work is when I know I need a moment to gain a new perspective. It’s for me a time to step away from my desk and take a walk. This might be a quick walk around the floor or taking the stairs to the next floor for a wander, or if I have some time I’ll take a walk outside. Being away from your desk (even through your mind) can help. All you need is three to five minutes! Another way to break our habit of spending too long at our desks or sitting around in meeting rooms is to have a walking meeting. It’s refreshing to get outdoors and walk the block while discussing whatever’s on the agenda. The change in scenery can really shift your perspective, is great for your posture (and if you’re like me your competitive daily step count)! Try to finish meetings before the time is up. I can be in back-to-back meetings for most of the day and we tend to run each meeting to time, not leaving any free time in between. Being able to give myself 5-10 minutes between meetings allows me to clear my thoughts, stretch and refocus before moving on to the next meeting. I’m more productive in the next meeting if I’ve had a few minutes to gather my thoughts before starting something new. Whenever I’m feeling overwhelmed or frustrated I’ll stop whatever I’m doing and take 3 – 5 deep belly breaths. It’s a great way to clear the mind and create a sense of calm. Where possible, I’ll sit down with both feet on the ground, back straight and my eyes closed while I take my deep breaths. I worked in Asia for a few years and the office culture in Asia is to take your lunch breaks (a whole hour!) out of the office. It’s uncommon to see anyone at their desk eating lunch while they work. It became a practice for me to take a lunch break with everyone else, and I’ve noticed I’m more energised in the afternoon after taking a break for lunch. It’s something I’ve continued back here in Australia, although I don’t always get the luxury of a whole hour. Practicing these techniques on my own is fantastic for my own personal wellbeing but is even more important as a leader. I also use these techniques with my team: encouraging them to take a walk with me, stop and take a few deep breaths when they’re frustrated, or making sure they break for lunch. This helps build the resiliency and focus in our team and means we work better. Over the last 18 months we have adopted this approach to wellbeing in my team and more broadly in our direct business line. Like with any new change or habit we started small; encouraging walking meetings and mindfulness breaks. As the pioneers and early adopters started to realise the benefits of these techniques, they’ve embraced the approach further and have started their own walking groups, lunchtime yoga and Tai Chi classes. There’s even a wellness wall with meditation cards, healthy recipes and mindfulness colouring activities that anyone can use. Through these activities, we’ve seen an improvement in our employee engagement, productivity, and uplift in collaboration. We’ve seen collaboration improve within teams and across our business as new relationships are formed. Team members are checking in on one another and encouraging their peers to practice the techniques when needed. It can all start with a simple 3-5 deep breaths. Keen to become the Wellbeing Champion of your workplace? 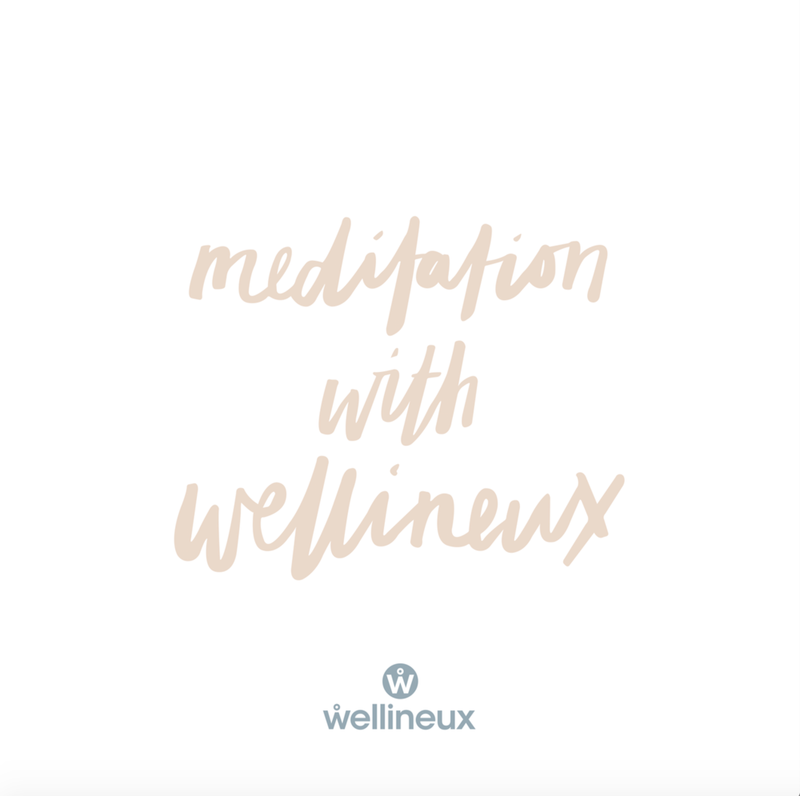 Get started with a complimentary 1 hour Workplace Wellness Strategy Session (in person or via skype anywhere in the world) with Wellineux founder Amanda McMillan. To redeem, simply email info@wellineux.com. Mary Attard is a corporate leader who thrives on creating genuine connections to bring likeminded people together be it for personal friendships or business ventures. Mary is passionate about coaching, development and all things people. Bringing her spiritual self to work, she has led the charge to foster wellbeing in the corporate workplace – from mindfulness colouring to lunch time yoga. As a true Melburnian, Mary loves to catch up over coffee, it’s important to note she takes her coffee in two forms – latte with 1, or an espresso martini.